In the late 1990s, ovarian tissue cryopreservation was first employed clinically to preserve fertility in female children, adolescents, and young adults with cancer in Europe and the United States. In 2004, Donnez reported the first live birth after ovarian tissue cryopreservation and transplantation. Ovarian tissue cryopreservation can be employed when ova cannot be collected by intravaginal procedures, when induction of ovulation is impossible in girls before menarche, and when cancer therapy must be initiated promptly and there is insufficient time to induce ovulation. In patients with some cancers (e.g., ovarian cancer and leukemia), tumor cells can potentially infiltrate the ovaries and could be transferred by transplanting thawed ovarian tissue so ovarian tissue cryopreservation is contraindicated. Recently, live birth has been achieved up to 30% of women undergoing transplantation of cryopreserved and thawed ovarian tissue. If ovarian tissue contains more primordial follicles (as in children/adolescents), the likelihood of live birth after transplantation is higher. Therefore, the patient's age should also be considered. However, even a woman who underwent ovarian tissue cryopreservation in her late 30s has achieved live birth. 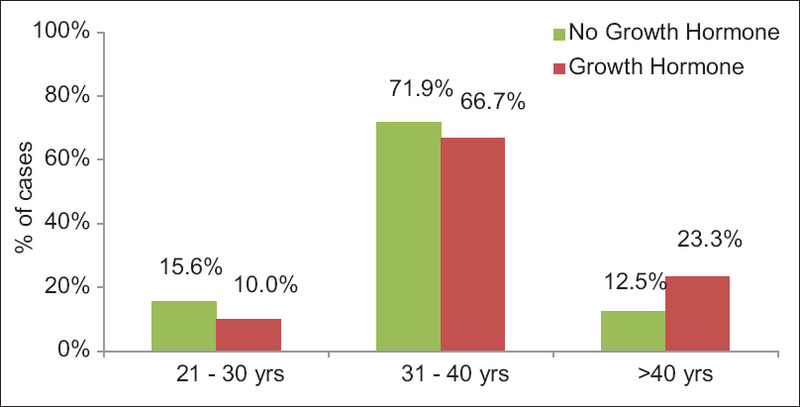 Since initial clinical application of ovarian tissue cryopreservation and transplantation in 1997, approximately 100 live births have been reported, including 3 in Japan. This article reviews the current status of ovarian tissue cryopreservation and transplantation of thawed ovarian cortex for fertility preservation. Breast cancer (BC) treatment leads to a reduction in reproductive lifespan due to the use of gonadotoxic agents and prolonged hormonal treatment. With an increasing incidence of BC in the young and better survival rates, fertility issues have come into focus. Pregnancy does not appear to have a detrimental effect and may even improve survival rates. Fertility counseling and offering fertility preservation (FP), therefore, is the standard of care. 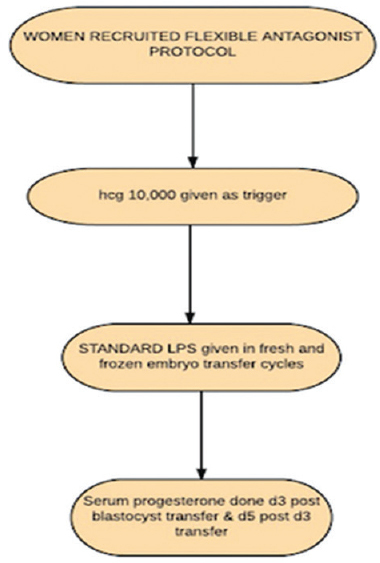 Among the FP procedures, oocyte freezing is preferred as it allows reproductive autonomy. Ovarian stimulation required for oocyte recruitment does not worsen BC prognosis. Reproductive outcome using cryopreserved gametes gives live birth rates similar to nononcological patients though studies are limited in this aspect. Ovarian tissue cryopreservation can be safely offered if neoadjuvant therapy is required. Fertility issues are extremely relevant in BRCA mutation carriers and FP should be offered to them. Co-administration of gonadotropin-releasing hormone agonist with chemotherapy is recommended in patients wishing to preserve ovarian function. Background: There is a rise in the global incidence of cancer however, with the advancement in the available treatment options there is an increased survival rate in patients with cancer. Among cancer survivors, there are varied psychosocial challenges in the context of fertility preservation which are poorly addressed and there are limited studies on psychosocial interventions to address those psychosocial concerns. 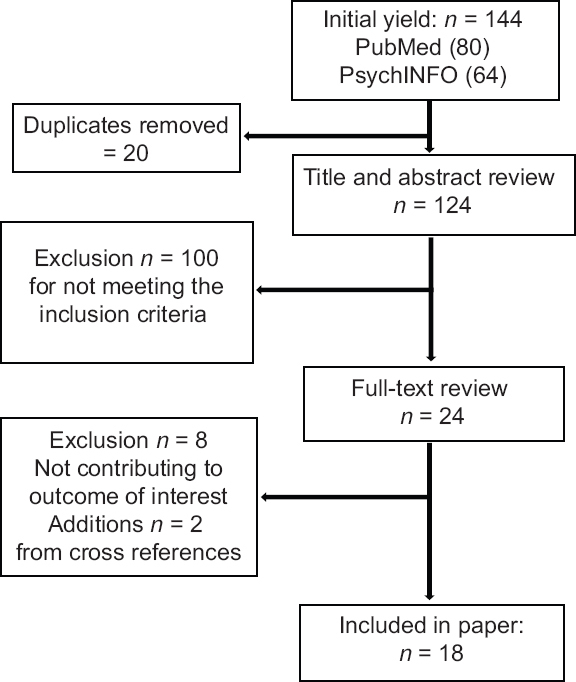 Methods: This literature review aims to study the psychosocial issues; ethical, moral and legal challenges in the context of fertility preservation in patients with cancer. PubMed and PsychINFO were systematically searched for English-language publications from the earliest available publication date of each database uptill November 2017. 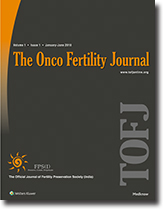 Among 144 unique articles concerning oncofertility and psychosocial issues; ethical, moral and legal challenges in fertility preservation in patients with cancer, 18 articles met the inclusion criteria and were included for the study. Results: In the context of fertility preservation in patients with cancer, the most common short term psychosocial concerns are dealing with double jeopardy (cancer and risk of losing fertility), fear about cancer mortality, concerns about sexuality and reproductive capacity, body image and illness related adjustment disorder or depression which all could affect the decision making and quality of life if, left unaddressed. The long term psychosocial concerns are changes in relationship, prolonged grief, internal conflicts regarding disclosing about their illness, uncertainty about fertility and devastation from the confirmed infertility, post cancer treatment regret. The ethical and legal challenges which arises with fertility preservation in cancer patients are poorly addressed by the existent practice codes and guidelines. Conclusions: To the best of the authors' knowledge, little research to date has addressed the psychosocial concerns of the patients with cancer in fertility preservation. Health care providers should take a pro-active step in identification and addressing the psychosocial concerns of the patients and to adapt a collaborative approach by involving mental health professionals. There is a need for guidelines that are culturally sensitive. Context: Luteal phase defect has been identified in all assisted reproductive technology cycles, necessitating progesterone supplementation. Aims: The aim of our study was to assess whether mid-luteal serum progesterone (P) levels' impact pregnancy outcome in fresh and frozen embryo transfer (FET) cycles. Settings and Design: A total of 145 women undergoing embryo transfer (ET) were prospectively enrolled and received standard luteal phase support. Methodology: Serum progesterone levels were assessed for all the patients in the mid-luteal phase. Patients were divided into groups based on the type of ET performed. Group A – fresh ET and Group B – FET. These groups were further subdivided based on mid-luteal serum P levels being below (Groups A1/B1) or above 15 ng/mL (Groups A2/B2). Progesterone levels were correlated with the clinical pregnancy outcome. Statistical Analysis Used: Chi-square test was used for qualitative analysis, and student's t-test was used for comparison of means. Results: Patients with mid-luteal serum P levels <15 ng/mL (Group A1) in fresh ET cycles had a statistically significant lower clinical pregnancy rate (CPR) (P = 0.049). In FET cycles, though there was no difference in the CPR, the percentage of biochemical pregnancies was significantly higher in the group with P levels <15 ng/mL (Group B1) (P = 0.024). Conclusions: This study suggests that, in Indian women, mid-luteal serum P levels <15 ng/mL have a negative impact on pregnancy outcome in both fresh (<CPR) and FET (>biochemical pregnancies) cycles. Individualizing luteal phase support by measuring serum progesterone levels might help to enhance pregnancy outcomes. Introduction: Endometrial cancer comprises 7.1% of all new cancer cases in females. Carcinoma of the endometrium is one of the long-term complications of polycystic ovarian syndrome (PCOS) due to unopposed estrogen action due to chronic anovulation. The standard treatment involves hysterectomy and bilateral salpingo-oophorectomy, due to its hormonal sensitivity. In endometrial cancer without infiltration to the myometrium and no extrauterine involvement, conservative treatment can be offered to women who wish to preserve fertility. Results: We report 11 cases of endometrial carcinoma either diagnosed during workup for infertility or referred for fertility preservation (FP) before definitive treatment. About 72.7% (7/11) of patients had PCOS, it becomes important for clinicians to suspect and rule out endometrial carcinoma by regular endometrial surveillance which, includes transvaginal ultrasound and/or endometrial biopsy in all PCOS women who have abnormal uterine bleeding, prolonged amenorrhea, unopposed estrogen exposure, and thick endometrium especially on day 3 of the menstrual cycle. About 36.36% (4/11) of our patients were not convinced for FP and were either lost to follow-up or underwent definitive therapy. Thus, it is important that all patients with endometrial carcinoma should be counseled not only by the oncologist but also by a reproductive endocrinologist and a psychosocial counselor, both together and separately. This will enable the patient to make a right choice of the treatment modality. Conclusion: Conservative treatment with progestogen therapy in selected young patients with well-differentiated carcinoma limited to the endometrium helps in preserving fertility. If they fail to conceive in the first attempt of in vitro fertilization, it is mandatory to monitor them for recurrence till a definitive treatment is planned. If definitive treatment is required fertility can be preserved either by oocyte or embryo freezing. Some women with low risk of ovarian involvement can benefit by ovarian tissue cryopreservation. Context: Poor ovarian reserve (POR) results in poor ovarian response to controlled ovarian stimulation (COS) in in vitro fertilization (IVF) cycles. Despite various strategies, clinical pregnancy rates (PRs) remain low in patients with POR. Aims: This study aims to assess if growth hormone (GH) supplementation in POR patients improves oocyte yield and PR in IVF-intracytoplasmic sperm injection (ICSI) cycles. Settings and Design: Prospective, randomized controlled study. Materials and Methods: Patients with anti-mullerian hormone ≤1.1 (ng/ml) and total antral follicle count ≤6 undergoing IVF-ICSI were enrolled in the study. Gonadotropin (GT) stimulation with GT-releasing hormone antagonist protocol was used for IVF. Patients were randomly divided into two groups: group A (n = 30) received recombinant GH 4 IU from the day of COS till the day of human chorionic gonadotropin trigger. Group B (n = 32) received COS and no GH. Statistical Analysis Used: The unpaired t-test and Mann–Whitney test was used. Categorical variables were analyzed using either the Chi-square test or Fisher's exact test. Results: Total dose of GT injections used were significantly less in GH group (Group A) compared to no GH group (Group B) (3000.89 ± 742.20), P = 0.009). There was no statistically significant difference in number of oocytes retrieved (OR), total days of stimulation, mean estradiol levels on the day of trigger and fertilization rates between the two groups. There was a nonsignificant increase in the clinical PR and chemical PR in the GH group. Conclusions: GH cotreatment with antagonist protocol decreased the amount of GTs required for COS but did not improve the oocytes yield, fertilization or PR significantly in POR patients. Ovarian cancer is considered to be one of the most lethal gynecological malignancies. It is estimated that 10% of ovarian cancer cases will be diagnosed in women of reproductive age and >80% would be in advanced stage. Conservative treatment can be carried out for Stage IA, B, C1, C2, C3 (International Federation of Gynecology and Obstetrics) to preserve fertility. However, accurate staging prior to surgery is difficult and some of these women require chemotherapy after fertility-preserving surgery which affects ovarian reserve, and there are a lot of anxieties regarding the aftereffects of chemotherapy on conception. In this article, cases of three young women who underwent conservative surgery for ovarian cancer followed by chemotherapy and subsequent treatment for infertility are presented. These are immature teratoma, juvenile granulosa cell tumor, and dysgerminoma. There was tumor spill in case of immature teratoma and capsule rupture in case of juvenile granulosa cell tumor. All the three women received chemotherapy and could achieve pregnancy after infertility treatment and had normal children. Tumor spill or rupture did not result in adverse outcomes and hence it should not prompt the surgeon to undertake radical procedure in women desirous of pregnancy. Undergoing chemotherapy subsequently did not result in adverse fetal outcome and there was no recurrence of malignancy among these women. This is a case of fertility preservation attempted at the crucial time through mature oocyte cryopreservation in a patient of breast cancer.